Diversifying your income as a real estate agent isn’t just good business practice: for many, it’s an essential part of their financial strategy. Having multiple revenue streams is one of the most touted “secrets” from the wealthy. They grew their wealth because they refused to put all their eggs in one basket. And while finding the right revenue streams can take a little finessing to achieve the right results, it’s not rocket science, either. Anyone can do it, regardless of your job or annual income. The only thing you need is a commitment to make it happen. Income diversification for real estate agents can take three different forms: work for money, passive income, and investments. Let’s look at each one and how Smart Agent Life and eXp Realty help you capitalize on them. As an agent, your biggest source of income likely comes from listing and selling properties. That’s what buyers and sellers hire you for. You earn commission on every sale, which generates most or all of your salary. But relying on this one revenue stream can be dangerous. What happens when the market turns and sales slow down? The Great Recession of 2008 caused over 94,000 agents to drop out of the market between 2007-2014. Plus, when you’re working in exchange for money, time limits your income potential. You’re only able to serve as many clients as you have time for, which can cut into your profitability. eXp Realty takes much of the time-consuming labor out of real estate. Our cloud-based platform lets you work from anywhere, expand your market, and connect you directly to clients. Agents get access to advanced real estate technology and help you become a better, more efficient agent. eXp Realty incorporates a revenue-sharing program through successful agents referrals so you can boost your passive income. 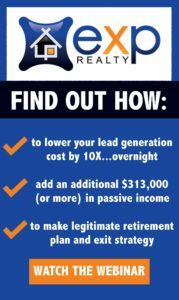 You earn revenue on every successful agent referral, as well as residual income with no limits on your earnings. There are myriad ways real estate agents can use investments to grow their revenue. Purchasing properties and selling them for profit is one of the most common avenues. Or, you can invest money in traditional investment options, like stocks, bonds, or CDs. These offer varying degrees of return but can pad your annual income enough to make it worthwhile. eXp Realty agents are also shareholders, so you can celebrate the company’s financial success with a boost to your own income. Helping agents build equity in the company is an essential part of eXp Realty’s strategy, because when you win, we win, too! Working for money, passive income, and investments are the real estate trifecta when it comes to growing your revenue. 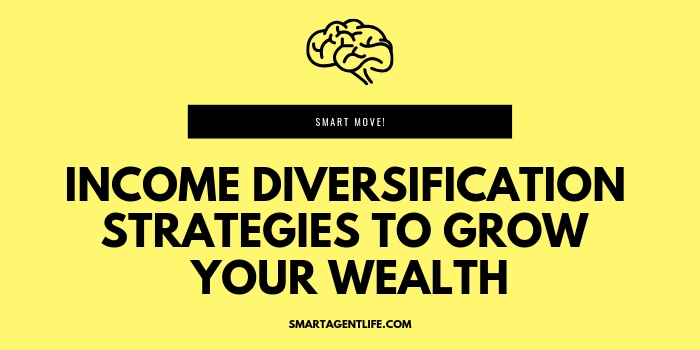 Combining each avenue helps you build a stronger financial portfolio that can help you survive market downturns and maximize your earnings when markets are hot. Learn more about eXp Realty’s business model and how it helps you diversify your income for the best returns.